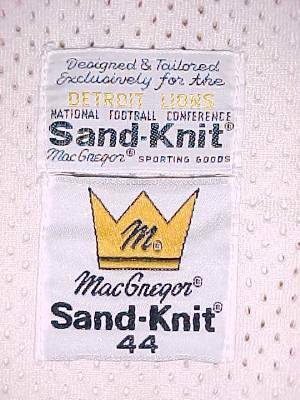 This is the last style of MacGregor Sand-Knit jersey worn by the Lions. Tail tags date to 1989-1990. 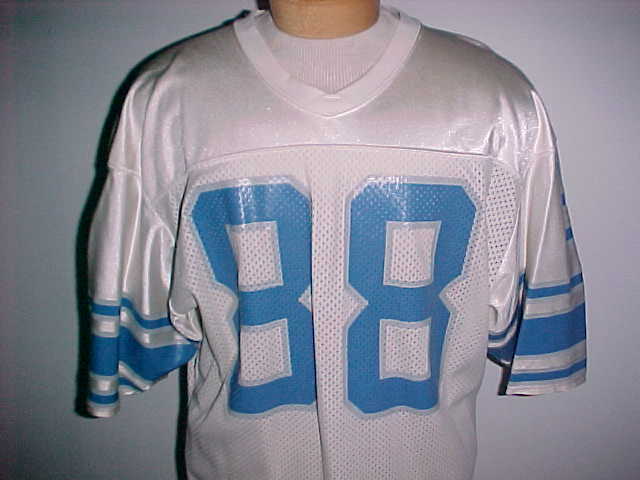 Lack of embroidered "M" appliqued onto the left sleeve dates to 1989.